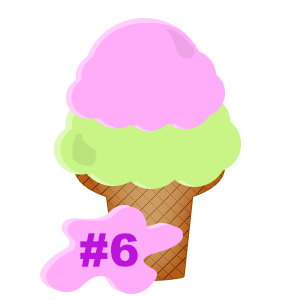 We had a little break at the end of the September which is why you didn’t see The Scoop last time, but we are back and better than ever! Our last two updates brought goodies like the Mp3 Player and Custom Bags, great improvements to the Vector Drawing Tool, Jigsaw Puzzles, and new features like the Sticky option, dice showing total amounts, the option to show Steam portraits, and support for the new Steam Controller. We also released our second official DLC, Cosmic Encounter Connector﻿ and everyone has been very positive about it! Some community members have even created their own table setups and they look fantastic! And yes, the expansions for Cosmic Encounter will definitely be coming in the future. We hope you are liking the new contextual menu. There are some great new things coming up on the horizon. Our next update is really going to clean stuff up and make the user experience that much better. We have a new Knowledge Base﻿ on our website﻿ that will have all kinds of things on there including things that are already in our video tutorials﻿. The Knowledge Base is replacing our old Frequently Asked Questions page and we’ll be able to get a lot more info out there to you. Enjoy! We’ve been talking with different publishers and our discussions have been very positive. We have three more confirmed companies who will be working with us, a few others we’re still waiting on, and some more meetings coming up in the next few weeks. We’ll start announcing upcoming games coming to Tabletop Simulator soon. Custom Books – Something to give you an illusion of a book with page turning, so you can have rules, guides, etc right there on the table. Customized Seats & Colors – We know that people want to be able to choose their own colors and seats, so this is something we’re working on. Check out Necromancers on our Steam Workshop﻿! 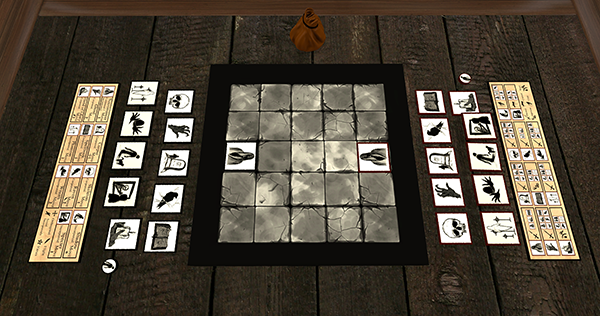 Necromancers is a 2-Player strategic board game representing the evil vs. evil conflict. Gameplay is swift and focused, with the only goal being to remove your opponent’s Necromancer. A single game, including setup, takes less than 15 minutes, and the rules are easy to learn but arduous to master. Every piece is dangerous, but the complexity and strategy comes from effective maneuvering and manipulating your opponent into exchanges that are more advantageous to yourself. The board is small, and death is never more than a turn or two away. 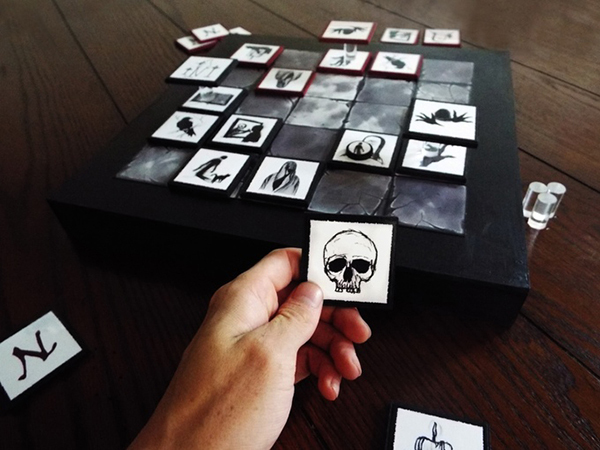 Necromancers is a great looking game and made by hand (no cardboard!). The game is up on Kickstarter ﻿with just a few days left, so check it out in Tabletop Simulator and if you like it, support them and get the real thing!